I changed everything after my first month at Crossfit. My eating habits, my daily routine, my mental health, my career, and my education. I have always been the girl who just didn’t want to fall into the lifestyle I saw my family live every day (overweight, chronic diseases, back pain, and feeling terrible all of the time). Ever since a young age I was a very active girl and paid attention to healthier food choices. I would read the latest and greatest workout blogs or articles. I’ve tried out every trendy fitness video or class known to man. I would even break out some push-ups or leg lifts while cooking in the kitchen. But these forms of exercise were not enough, I didn’t feel fulfilled, nor educated enough to care for my health. 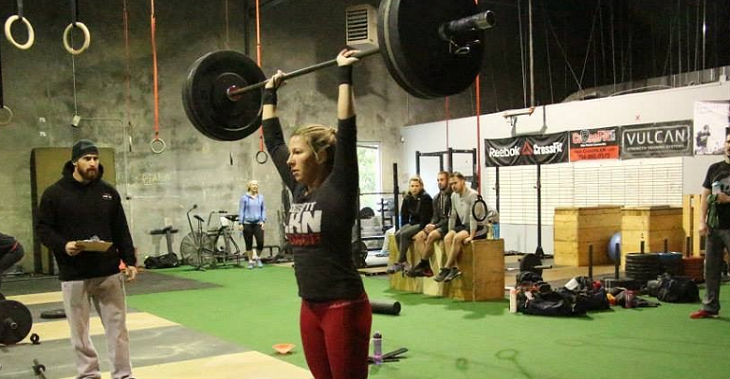 The fundamentals of CrossFit reintroduced me to how I should feel when I eat healthily, exercise, and push my body beyond what I wanted to do but instead making it the machine that it is supposed to be. It gave me the variable change to keep workout sessions interesting, and it pushed me to a whole new level of strength and ability. I started coaching because I wanted my community to feel what it felt like to be healthy, be in shape, and go outside of the zone of being comfortable. I wanted to show them a whole new way of living life, not just the BOX LIFE, but also outside of the box. Overcoming obstacles, making changes that seemed hard, and having a better quality of life overall. My goal as a trainer is to not change the outside of the human body but change the inside.